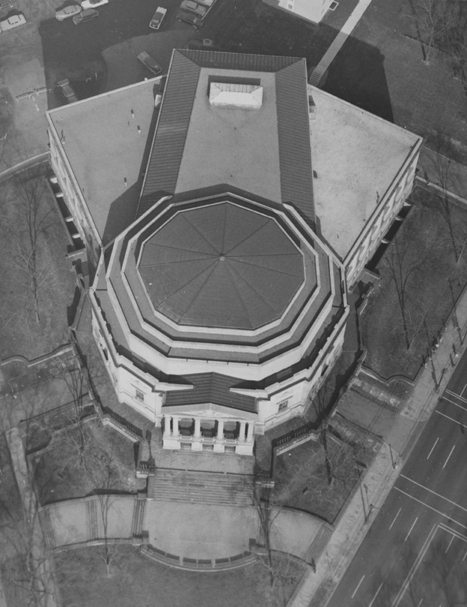 Severance Hall, the permanent home of the Cleveland Orchestra, was built between 1929 and 1931. 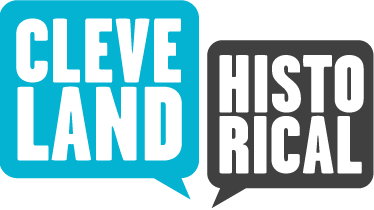 Its completion represents over $7 million in donations from both the Cleveland public and heavy weight philanthropists, as well as a land grant from the Western Reserve Society. Influential people such as John D. Rockefeller, Dudley Blossom and William Bingham III donated huge sums of money toward the Hall, but the man who shouldered the brunt of the cost was Mr. John Long Severance. To Severance, the Hall was akin to the Taj Mahal. 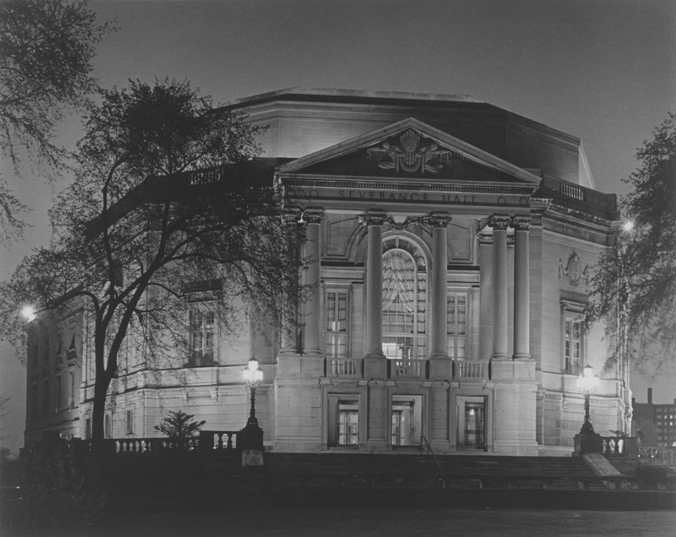 Upon its completion in 1931, Severance Hall was dedicated to Elizabeth "Bessie" Dewitt Severance, the beloved wife of John L. Severance, who died shortly after the couple pledged the original $1 million to the cause. 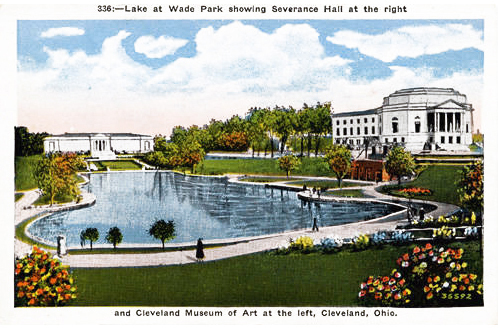 It was decided that the exterior of Severance Hall should closely resemble the Art Museum (situated on the north side of Wade Park), but would have an interior unlike any ever seen before. The result was a Georgian/Neo-Classical style building built of Ohio sandstone and Indiana limestone, in complementary shades of white and off-white. Inside is an eclectic mix of inspiration from Victorian, Egyptian, classical and ornamental styles and a recurring motif that reflected Mrs. Severance's love of the lotus flower. From the ornate silver flowering and blue jewel tones in the grand auditorium, to the gold and bronze leaf design in the atrium, nature is very much at home in this "musical wonder of wood and steel." The burden of building and planning the Hall was given to the architectural firm Walker and Weeks. Construction alone cost around $2.6 million, with the remainder of the $7 million dedicated to furnishing, decoration, acoustic technology, and the endowment fund that would keep the Hall both beautiful and state of the art. 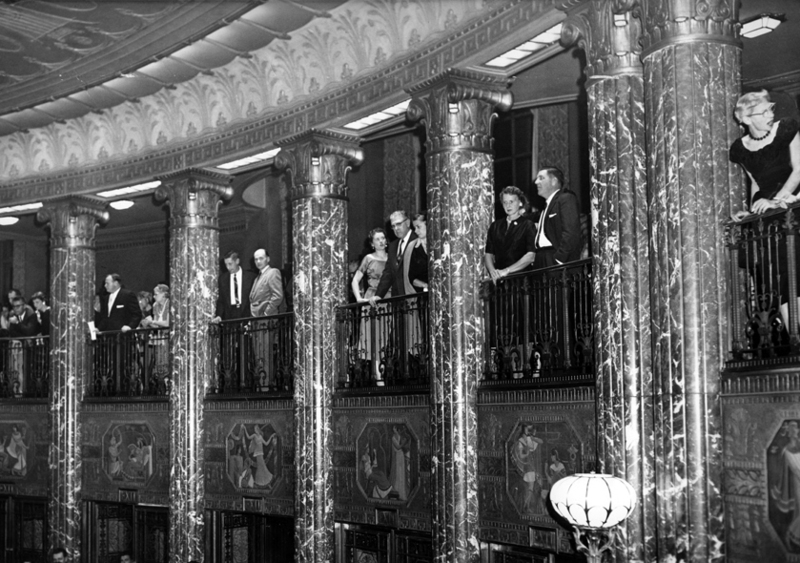 The building included a concert hall seating nearly 2,000, a chamber music hall seating 400, a pipe organ elevator as well as the 6,025-pipe Ernest Skinner organ, a recording studio, a grand foyer, and interestingly an internal automobile drive-way leading to the parking lot. The recording studio was equipped with radio broadcasting capabilities, which helped the Cleveland Orchestra become known across the country. The drive-way was closed and turned into a restaurant in 1941. In 1958, the stage was completely rebuilt to adjust the acoustics of the hall. A stage shell was built to reflect sound, and the concert hall was stripped of most wall hangings and some of the carpeting, resulting in a richer sound. These renovations were deemed a great success. However, whereas The Cleveland Orchestra continued to grow into a world-renowned orchestra, Severance Hall began to fall into disrepair. 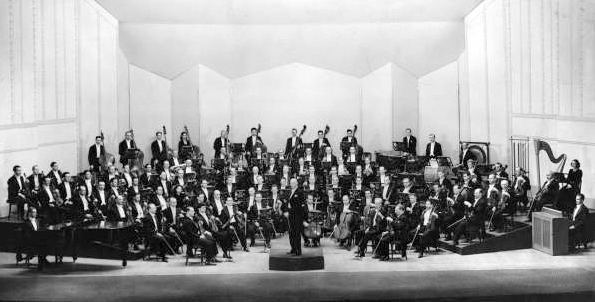 The rehearsal spaces, as well as the public spaces, did not live up to the reputation of the orchestra nor to the expectations of patrons and musicians. 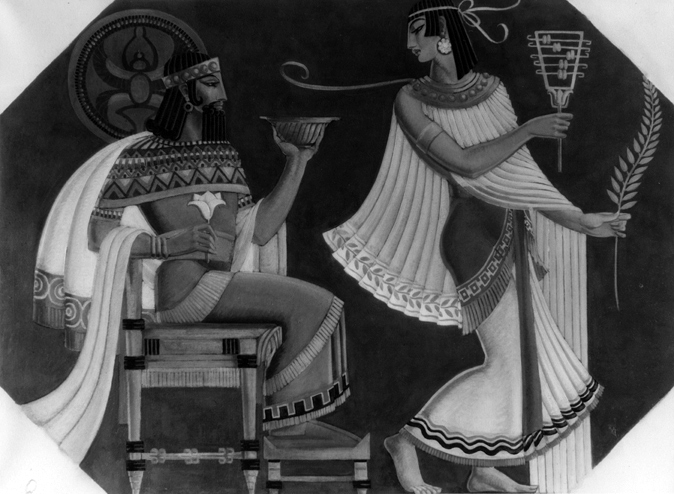 In 1997, a second renovation project was started to renew the facilities of Severance Hall and restore some of the original detailing in the concert hall. The original organ was also restored and reinstalled in the concert hall. 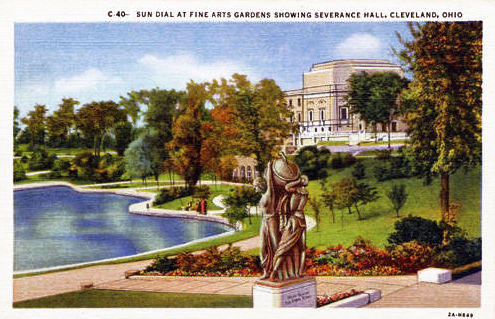 Janelle Daling and Robin Meiksins, “Severance Hall,” Cleveland Historical, accessed April 19, 2019, https://clevelandhistorical.org/items/show/31. Published on Sep 17, 2010. Last updated on May 3, 2017.